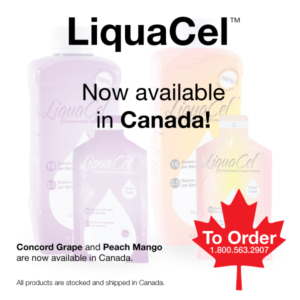 We are very excited to announce that our Grape and Peach Mango LiquaCel flavors are now available in Canada! To make this possible we are working with two industry leading Canadian distributors; Mckin Health Care Specialties and Kinder Products. Call 1.800.563.2907 to order and for more information. All products are stocked and shipped in Canada. Warm delicious ProCel® 100 recipe!